Can I get a refund of the $125 Test Receipt Fee? No. The $125 test receipt fee is non-refundable. Make sure to check the CDL manual for full qualifications before purchasing a Commercial Learners Permit (CLP), or Test Receipt. What is the fee for a duplicate Commercial Learners Permit (CLP)? There will be an $11.00 charge for a duplicate CLP. What is the fee for a duplicate Test Receipt? There will be a $3.00 charge for a duplicate Test Receipt. If my vehicle has air brakes and does not weigh over 26,001 lbs., do I need a Commercial Driver License (CDL)? No, you only need a CDL if the vehicle weighs 26,001 lbs. or more, or requires a placard for transporting hazardous material, or if you will be carrying passengers. Can I get a Commercial Driver License (CDL) if I have a DUI? Yes, provided you have served your suspension period; however, you will not be eligible to retain or apply for your Passenger (P) endorsement for three years. At what age can I apply for a Commercial Learner Permit (CLP)? To apply for a New Jersey CLP, you must be at least 18 years old. If you are under the age of 21, you can only operate intrastate (within NJ only) commerce and must select commerce category 3 or 4 on the CDL Holder Self-Certification form. When do I need to submit the Commercial Driver License (CDL) Holder Self-Certification document and Medical Examiner Certificate? CDL Holder Self-Certification and Medical Examiner Certificate, if applicable, must be submitted for an initial CLP and a CDL transfer. A new Medical Examiner Certificate must be submitted upon expiration of current Certificate for current CDL/CLP drivers. A CDL Holder Self-Certification form must be submitted upon renewal of your Commercial Driver License. Are there new Commercial Learners Permit (CLP) restrictions? Yes. There are new CLP restrictions and new CDL restrictions. K - Restriction for Intrastate (within NJ only) only. L - Restriction for vehicles with no air brakes. P - No passenger restriction on CLP, if CLP has a P endorsement. V - Restriction for medical variance (driver must also have their hard copy variance issued by FMCSA). X - No cargo in-tank restrictions, if CLP has an N endorsement. E – No manual transmission equipped Commercial Motor Vehicle (CMV). K - Intrastate (within NJ only) only. O – No tractor trailer Commercial Motor Vehicle (CMV). Z - No full air brake equipped Commercial Motor Vehicle (CMV). The “Z” restriction code is currently used to capture a Graduated Driver License (GDL) restriction. Effective November 9, 2015, the GDL restriction will now be captured using a “T” restriction. All GDLs issued up until that time will continue to have a “Z” and will remain valid until their expiration date. All current restrictions on a CDL remain in effect. If I receive a moving traffic violation when driving my personal vehicle, will the violation be charged against my CLP/CDL? Yes, enhanced CDL penalties will apply to a CLP/CDL for moving traffic violations if they occur when practice driving a CMV, or if you are driving your personal vehicle. Where can I take the knowledge test? Knowledge tests can be taken at the following Driver Testing Centers: Bakers Basin, Bayonne, Camden, Cardiff, Eatontown, Edison, Freehold, Lodi, Mount Holly, Newark, Newton, North Bergen, Paterson, Rahway, Randolph, Rio Grande, Runnemede, Salem, South Plainfield, Toms River, Vineland, Washington, Wayne, and West Deptford. Do I need an appointment to take the knowledge test? No. An appointment is not necessary, but you must arrive at least one hour before closing time. Is the knowledge test administered in Spanish? Yes. It is administered in Spanish, or English with the exception of the HAZMAT endorsement test. The HAZMAT test is administered in English only. Is the knowledge test administered orally? No. CDL exams are multiple choice tests taken on a computer terminal. All tests, with the exception of the HAZMAT endorsement test, are available in English or Spanish. The HAZMAT test is administered in English only. Audio tests are not available for any CDL exam. Am I allowed to use an interpreter to take the knowledge test? No, you are not allowed to use an interpreter to take the knowledge test. How many times can I fail the knowledge test before I have to pay another $125 fee? There is no limit to the number of knowledge tests you can take within the 180-day period, but there is a mandatory waiting period of seven days before you can re-take the knowledge test; however, the test receipt is valid for 180 days and will need to be renewed for $125.00 upon expiration of the test receipt. The basic general knowledge test must be passed before any endorsement test can be taken. All CDL test scores are good for 360 days (written, vision and road). How can I make an appointment for a road test, or cancel a scheduled road test? If you have successfully completed the knowledge and vision tests and purchased a Commercial Learners Permit (CLP), an appointment can be made in person at the following Driver Testing Centers: Bakers Basin, Bayonne, Camden, Cardiff, Eatontown, Edison, Freehold, Lodi, Mount Holly, Newark, Newton, North Bergen, Paterson, Rahway, Randolph, Rio Grande, Runnemede, Salem, South Plainfield, Toms River, Vineland, Washington, Wayne, and West Deptford. If you need to cancel the appointment, you should appear in person as soon as possible at any Driver Testing Center listed above to reschedule your road test. Do I need an appointment for a road test? Yes. 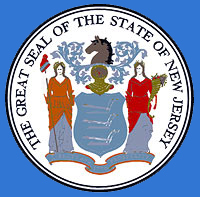 The appointment can be scheduled at any of the following Driver Testing Centers: Bakers Basin, Bayonne, Camden, Cardiff, Eatontown, Edison, Freehold, Lodi, Mount Holly, Newark, Newton, North Bergen, Paterson, Rahway, Randolph, Rio Grande, Runnemede, Salem, South Plainfield, Toms River, Vineland, Washington, Wayne, and West Deptford. Can I make the appointment or reschedule the appointment online? No. CDL appointments can only be made and rescheduled in person at a Driver Testing Center. How soon can I take the road test? You must wait at least 14 days after you receive your Commercial Learners Permit (CLP). How long do I have to wait to be re-tested if I fail my road test? You must wait at least 14 days to be re-tested. How many times can I fail the test before I have to pay another $125 fee? There is no limit to the number of road tests you may take; however, you will have to renew your Commercial Learners Permit (CLP) and test receipt after six months (180 days). Am I allowed to use an interpreter to take the road test? No, you are not allowed to use an interpreter to take the road test. Can I take a road test with a vehicle that has an automatic transmission? Yes you can, but you will have a restriction added to your CDL license (No manual transmission equipped CMV, restriction code E). Who supplies the vehicle for the road test? You must supply a vehicle that represents the class of CDL license you are trying to obtain. When do I need to submit a Medical Examiner Certificate and CDL Holder Self-Certification document? You must submit a Commercial Driver License (CDL) Holder Self-Certification document and a completed Medical Examiner Certificate, if applicable, at the time of issuance of your Commercial Learners Permit (CLP). Do I need a Medical Examiner Certificate completed before I renew? Yes. All Commercial Driver License (CDL) drivers must have a current Medical Examiner Certificate on file with the Motor Vehicle Commission (MVC) before they drive a Commercial Motor Vehicle (CMV), unless they operate in excepted commerce. Please see the list of excepted commerce categories on the CDL Holder Self-Certification document. Can I still renew my Commercial Driver License (CDL) if I am not in compliance with the Federal Motor Carrier Safety Administration (FMCSA) regulations? No. You must meet the Federal Motor Carrier Safety Administration (FMCSA) regulations to renew your CDL.